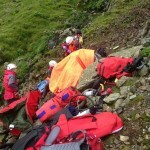 We provided some support to Langdale MRT (who were having a VERY busy day) on Gimmer Crag with a seriously injured female casualty, thankfully as we arrived the helicopter managed to evacuate the patient. 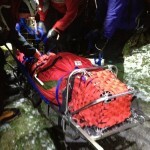 A man suffered serious injuries when he fell around 20 meters from the Corridor Route. 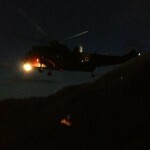 He was treated by the team and flown to hospital by RAF Boulmer. 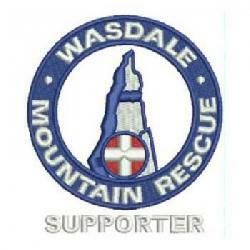 Thanks to Duddon and Furness MRT for travelling over to support us once again. Today's evacuation from the bad step on the Corridor Route. Our third callout of the day was to deal assist a fell runner who had fallen some 70 metres near the summit of Seatallan. 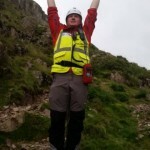 Since we were already committed to the Great Gable incident, Duddon and Furness MRT dealt with this one for us.